Does Your Roof Have Asbestos? Many buildings built before the 1980′s are plagued with asbestos issues, specifically in roofing materials, walls, floors and insulation. Avoid exposure by staying away from the affected area. While there has been a significant decrease in the use of asbestos when installing roofing, any building before 1980 should be fully inspected. Some of the commercial materials that may have asbestos include shingles, felts, sealants, decking, coatings, adhesives and underlayment. In order to fully determine if your roof has asbestos, you need to hire a professional contractor who can bring the samples to a lab. Once the property has been inspected, asbestos abatement specialists have to come in for removal. After this, homeowners can proceed with any roofing or remodeling projects. Contact Core Environmental at 781.721.4540 asbestos inspections and removal. Feel free to fill out our contact form for more information. A homeowner might not know the type of mold they might be encountering, the ending result can be damaging. Mold can spread to other parts of your home if it not removed properly and drive mold into the air. Major damage, Health and safety concerns can occur if a homeowner does not have the degree of knowledge or the skill that is required for mold removal. A professional will wear the proper gear such as gloves, eye wear and face masks to remove the mold out of your home. A homeowner should never remove mold on their own. Core Environmental is your mold removal experts to help you complete the toughest mold removal & remediation, restoration project for your business or home. The Environmental Protection Agency cities indoor exposure to mold is a cause to many health issues that includes asthma, allergic reactions and sinusitis. Indoor mold growth as well as air quality concerns can be severe. Today there is more evidence that links indoor exposure to mold with upper respiratory tact symptoms, cough wheezing and development to asthma. Mold can grow on any organic substance when moisture and oxygen are present making it often unseen. Mold can grow mold at any place where moist is present, such as windows, pipes, leaky roofs, drywalls, flooding and HVAC evaporation. Mold can grow well on paper products and ceiling tiles, wood products, fabric and carpet. If you notice any type of water spill or leak in your home, timing is crucial as mold can grow as quickly as 24-72 hours after building materials have become saturated. The key to mold control is to maintain the moisture in your home. Remediation can identify and correct the conditions of mold growth as well as taking the proper steps to remove damaged materials safely and effectively. Mold comes in many variations and forms each with different levels of possible harm to the human body. If you suspect a mold problem in your property contact Core Environmental right away and schedule an inspection and protect the health and safety for you and your family. Water Damage is described as a large number of possible losses that is caused by water intruding where it will attack systems or materials by destroying them through the process such as rusting of steel, rotting of wood, rusting, and de-laminating of materials. Water damage can be undetectably slow and minor or it can become something prompt and disastrous such as flooding causing a major loss of property. Water damage restoration will be required in case of any water damage events, when these events occur it can be a terrible time for home and business owners. If not handled properly right away by a professional water damage company, water damage can cause property value to decrease. Core Environmental has years of experience dealing with water damage. We will assess the extent of the water damage to impacted building materials and content, allowing us to determine which materials can be restored and what needs to be replace. While beginning the process we will also protect all unaffected areas. When water damage affects you let Core Environmental return your building to new. Water damage can be one of the biggest risks of property damage during the winter weather. By knowing which steps to take as a home or business owner you can be prepared this winter season. If you think you recognized frozen pipes or have a pipe burst and water is flooding into your home or business, it is important to take quick action. Immediately shut water off and remove items nearby to avoid more damage. With water damage, mold can grow and flooding can damage your property including carpets, drywall, furniture and baseboards. Core Environmental Contracting has years of experience when it comes to water damage. We have water damage services 24 hours a day for any emergency. For more information on our water damage services Contact us today. If you notice any leaks in your roof or windows it’s important to repair that as soon as possible. Keep your attic well insulated and ventilated. Maintain a regular cleaning schedule especially kitchens, bathrooms and other areas that may cause a lot of moisture. Keep clothes dryers vented to the outdoors. Crawl spaces should be covered with waterproof polyethylene plastic. Crawl spaces with vents should be closed in the summer time and open during the winter. Any indoor mold problems should be addressed immediately. If there is suspicion of any presence of mold let Core Environmental test your home or building. Fall season is upon us, soon enough we will be enjoying sweater weather along with the foliage, but with that comes the cold weather, the temperature will drop and we will soon begin to close our windows and crank up the heat. Having mold indoors can cause health problems; it produces allergens, irritants and some potential toxic substances. Right now it’s the perfect time to start preparing your home from mold exposure for the fall and cold weather. Make sure to keep the moisture in your home under control along with any water or dry water damaged areas to prevent mold growth. Be sure to double check on your ventilation/heating/HVAC systems if you suspect any mold growth. Contact Core Environmental Contracting today if you suspect any mold build up in your home, we are experienced in cleaning up mold remediation with a variety of techniques that is used to remove mold from the environment. The Importance of Asbestos Inspection in Home or Workplace. Asbestos in your home or workplace poses a serious health risk. Asbestos is a dangerous mineral made up of tiny fibers that were added to a variety of products to strengthen them and to provide heat insulation and fire resistance. Breathing in asbestos fibers may cause serious health problems, including abdominal linings, lung disease and even cancer. Buildings constructed before 1970 are more likely to contain asbestos, therefore the first initial step is to conduct an Asbestos inspection. What can I do if I suspect Asbestos or need an inspection? The first thing to do is to hire a professional certified asbestos inspector. The inspector will then take samples and test for possible asbestos material that can be present. Here at Core Environmental, we provide you with a licensed inspector to perform an asbestos inspection. We take the initial steps in building inspections and find the type and materials that contain asbestos and take samples to provide a report with sample. Contact us today 781-721-4540 for a free estimate. The wonderful crew here at Core Environmental Contractors has been working on a large project all week at one of the prominent Universities in the Boston area. Many colleges and universities in the area have been around for 100 or more years, leaving beautiful and unique architecture that is surely a big draw to potential students. However, what they are finding out now is that some of the older buildings contain asbestos products, more specifically, Vinyl Asbestos Tile (VAT). There is no way to change the way construction was done 50-100+ years ago, the best these schools can do is be aware of the potential harm asbestos can cause and then be diligent about removing it from their buildings to keep their faculty and students out of harm’s way. 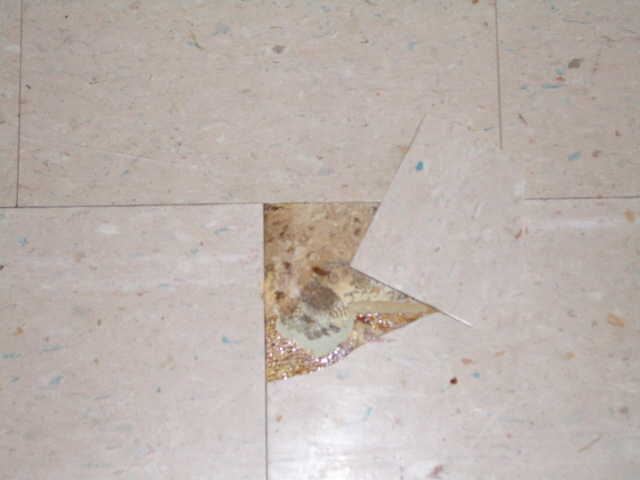 By completing Vinyl Asbestos Tile removal, you will also be helping preserve the building for years to come to keep your campus looking distinguished and beautiful. Core Environmental Contractors has been performing asbestos removal jobs for colleges and universities throughout the Boston area for over 20 years. We also understand that preserving the environment and surrounding community is a key goal of these universities. Core Environmental Contractors recycles all waste materials and asbestos in an environmentally friendly manner to make sure that you are continuing your goal to preserve the community and planet. Contact Core Environmental Contractors to learn more about our asbestos removal services that we offer to not only colleges and universities, but also to other businesses and residential homes. Give us a call today, we’d be happy to speak with you!